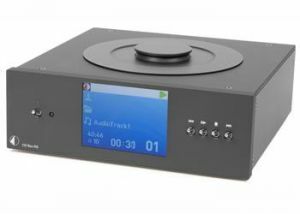 The CD Box S (as well as bigger CD Box DS model) from Pro-Ject Box Design has been created exclusively to play "Red Book", standard audio CDs. It's construction and meticulous design is such that it excels in this discipline. 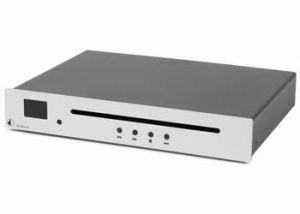 In addition to a high-quality, durable drive that is essential for optimal CD playback, the CD Box S also has s servo control optimized for audio playback. The CD Box DS is a high end CD player designed for dedicated play back of the “Red Book Standard” of audio CD developed by Philips. 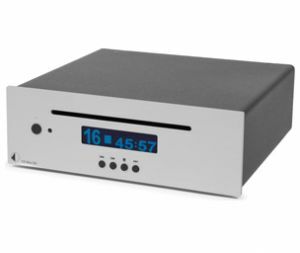 Built with a high quality, durable CD drive that is controlled by a Blue Tiger Servo board, the CD Box DS is designed to read CDs perfectly without need for any error correction and minimal jitter. The CD Box DS’s on board D/A converter boasts a Burr Brown 24-bit/192kHz chip, with eight-times oversampling that delivers a true high end quality for play back of your CDs. An easy to read high contrast dot matrix and a handy credit card remote make the CD Box DS simple and a joy to use. 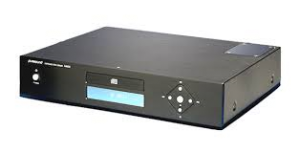 The CD Box RS is a superlative top-loading CD transport that is built around the premium Blue Tiger CD-100 servo system, which is designed to handle 24-bit/192kHz FLAC playback. 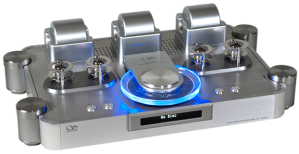 The puresound A8500 CD Player was developed as a high quality source to be used with the puresound range of amplifiers. It can also be used in a wide variety of other systems with great success. The A8500 is built around the SONY 213Q high precision mechanism, renowned for both its stability and reliability. The Cirrus systems CS4398A 24 Bit 192KHz D/A converter handles the data stream, which, once converted, is filtered using OPA2604 Op amps.